The number one priority for every blogger and web developer should be security. In the blink of an eye, a beautiful site can be turned to ruin, private information can be stolen, and countless hours of work can be lost. As we slowly slide into 2012, here is a look at some of the top security plugins that are going to keep you and your hard work safe. BulletProof Security keeps your wp-admin folder and Root website folder safe with just a single click. This plugin offers defense against all CSRF, RFI, XSS, Base64, Code Injection and SQL Injection hacking attempts. Included is a useful maintenance feature that allows developers to put up a “503 under maintenance” place holder page while owners work on their site. For those that are relying heavily on search engine ranking, this plugin is a must have. Not only does Maximum Security provide robust defense against all intrusions, it guards visitors against any malicious content as well. Included is a useful tool that tracks and portrays all events that it interacts with. Spam injections are a serious concern for anyone operating a WordPress site. This easy to use plugin blocks all malicious content, spam, and links. After any blocks are made, it sends an email to a designated address with all intrusion attempts that have been blocked and IP addresses that have been whitelisted. This useful plugin should be used regularly by all website owners. 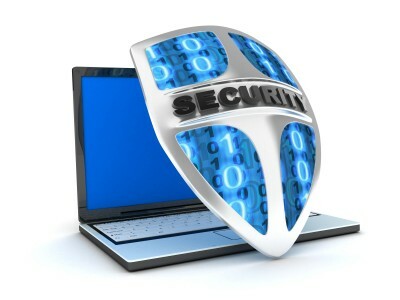 With a single click, this program quickly moves through all security loopholes. It then provides a list of any possibles vulnerabilities, such as file permissions or passwords, and offers suggestions on how to improve them. As an updated version of the original WordPress Firewall, this plugin offers protection against the top reoccurring attacks on websites. Firewall 2 fluidly tracks and then blacklists all malicious looking phrases, and then reports the attempts to owners. Developed by the team that runs WordPress, Akismet is the leading homepage and download security plugin. Akismet keeps an offsite list of keywords and phrases from spam comments, it then cross references all of your website’s comments with its own database. Much of the flexibility of WordPress comes from its tiered access options. WP Hitaccess Secure Files takes this a step farther as it offers admins the ability to restrict file usage based off of IP addresses or WordPress roles or capabilities. As an added bonus, files can be protected from the visual editor itself. This free tool allows owners to cover up many of the basic security vulnerabilities within their website. This includes upgraded password protection, file protection, and database backup in the event of any disasters. Also included is a simple removal of all PHP and database error reporting. Secure WordPress hides many of the minor security risks in both the frontend and backend of a site. This includes masking WordPress information on the backend to all users but the admins as well as hiding the URL version on the frontend. AskApache blocks many forms of spam or malicious attempts to access a website before they ever take place. What sets this plugin apart is its preemptive wall of protection that saves memory, CPU, and database resources from almost all basic attacks. With 2011 being a record year for malicious attacks on sites, it is time for every website owner to take a serious look at their security. By adding a handful of these tried and true plugins, admins can secure their time and work the moment that they are under threat. Jeff is an internet marketing consultant and a part time blogger. He writes mostly about blogging, internet marketing, Pay Per Click Strategies and Search Engine Optimization techniques and best practices.